Sparse representation is proposed to generate the histogram of feature vectors, namely sparse representation based histogram (SRBH), in which a feature vector is represented by a number of basis vectors instead of by one basis vector in classical histogram. This amelioration makes the SRBH to be a more accurate representation of feature vectors, which is confirmed by the analysis in the aspect of reconstruction errors and the application in color texture retrieval. In color texture retrieval, feature vectors are constructed directly from coefficients of Discrete Wavelet Transform (DWT). Dictionaries for sparse representation are generated by K-means. A set of sparse representation based histograms from different feature vectors is used for image retrieval and chi-squared distance is adopted for similarity measure. 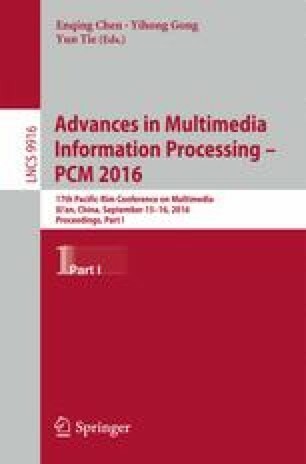 Experimental results assessed by Precision-Recall and Average Retrieval Rate (ARR) on four widely used natural color texture databases show that this approach is robust to the number of wavelet decomposition levels and outperforms classical histogram and state-of-the-art approaches. Part of this work was done while Cong Bai worked as a Ph.D student in IETR UMR CNRS 6164, INSA de Rennes, Université Européenne de Bretagne, France. This work is now supported by Natural Science Foundation of China under Grant No. 61502424, 61402415, U1509207 and 61325019, Zhejiang Provincial Natural Science Foundation of China under Grant No. LY15F020028, LY15F030014, LY16F020033 and Zhejiang University of Technology under Grant No.2014XZ006. The work of Jinglin Zhang is supported by the Scientific Research Foundation of Nanjing University of Information Science and Technology(Grant No.S8113055001),Natural Science Foundation of JiangSu province (Grant No.SBK2015040336) and Special Program for Applied Research on Super Computation of the NSFC-Guangdong Joint Fund (the second phase).